We’ve got categories to describe our perceptions of taste, colors, and sounds. But things aren’t as clear-cut when it comes to our sense of smell. Looking to overcome this surprising limitation, a team of researchers have proposed a list of 10 basic smells. Indeed, we’re all set when it comes to describing the way our other senses work. Our 100,000 taste buds elicit five different sensations, namely sweet, bitter, sour, salty, and umami (a Japanese word for a pleasant savory taste, but distinct from pure saltiness). When talking about vision, we’re able distinguish between wavelengths by referring to them by color, like red, green, and yellow. And when it comes to sound, we can speak of timbre, dynamic range, and frequency response. 25% of the population are supertasters — are you one of them? Which animal can hear the highest-pitched sounds? But until this new investigation, scientists were unable to explain the characteristic perceptual qualities of olfaction — our sense of smell. The sense of smell comes about through the stimulation of specialized cells in our nasal cavities — cells that are similar to the sensory cells of the antennae of invertebrates. 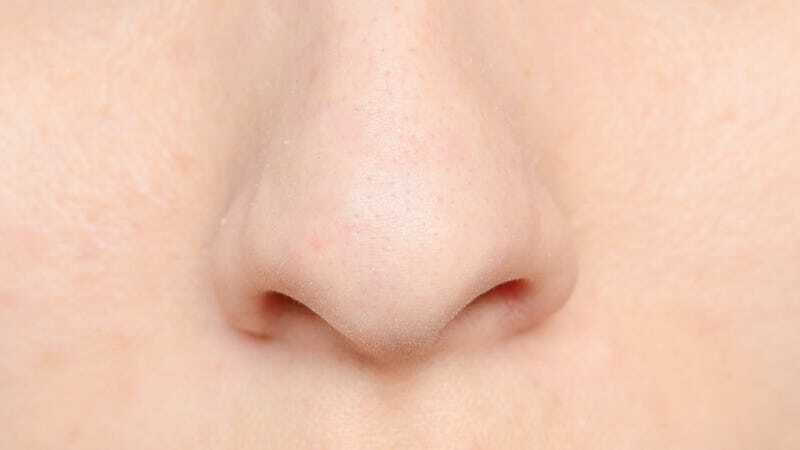 The human olfactory system works when odorant molecules bind to specific sites on the olfactory receptors, which are used to detect the presence of smell. And it all comes together at the glomerulus, a structure which transmits signals to the olfactory bulb — a part of the brain directly above the nasal cavity and below the frontal lobe. The end result is the subjective experience we call smell. As we all know, odors can be rich and complex. And we have many ways of describing smells (e.g., smoky, sweet, pungent, etc.). But what we haven’t done is create a definitive list that organizes odors into their basic, or essential, categories. To overcome this limitation, a research team consisting of Jason Castro, Arvind Ramanathan, and Chakra Chennubhotla analyzed 144 different odors to see if they could identify consistent odor profiles. These 144 odors were derived from an olfactory “atlas” created in 1985 at the Institute of Olfactory Sciences in Park Forest, Illinois. To assist them with their task, the researchers used advanced statistical techniques (a mathematical technique called non-negative matrix factorization [NMF]) to develop an approach for the systematic description of smells. The researchers likened the process to digital data compression when a digital audio or image file is reduced in size; the basic elements are retained at minimal expense to quality or essence. Their analysis showed that olfactory space is highly dimensional — 10 dimensions to be exact. Other aromas, like baked bread or fresh-brewed coffee, are amalgams of two or more of these 10 elements. This study is certainly interesting and helpful, but it’s lacking in several areas. First, we’re talking about something that’s very subjective. Take pungent, for example, an odor the scientists placed into the “sickening” category. While strong and sharp, it’s not necessarily an unpleasant odor. What’s more, our appreciation and comprehension of smells are both culturally instilled and the result of such processes as developing an “acquired taste” for something. Also, the 144 odors considered by the scientists comes from a very small sample pool. And indeed, the scientists acknowledge this in their paper, suggesting that future studies should broaden the scope of data. Lastly, the study didn’t distinguish between perceptual and cognitive influences on the organization of human odor space. This would help alleviate some of the subjectivity problems inherent in the study by showing the various autonomous responses involved in olfaction. Read the entire study at PLoS One: "Categorical Dimensions of Human Odor Descriptor Space Revealed by Non-Negative Matrix Factorization." Images: nrt/ Shutterstock, Sunny Forest/Shutterstock.